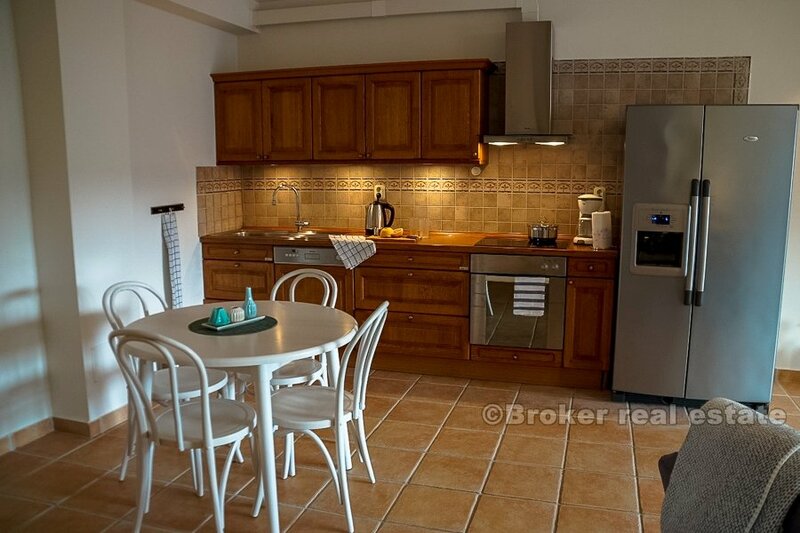 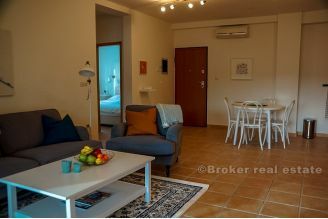 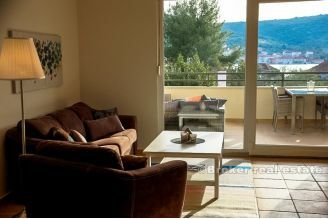 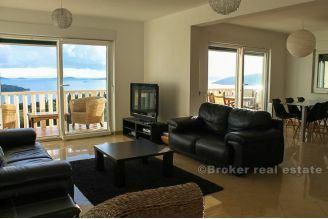 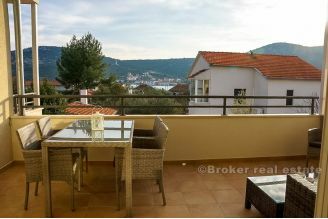 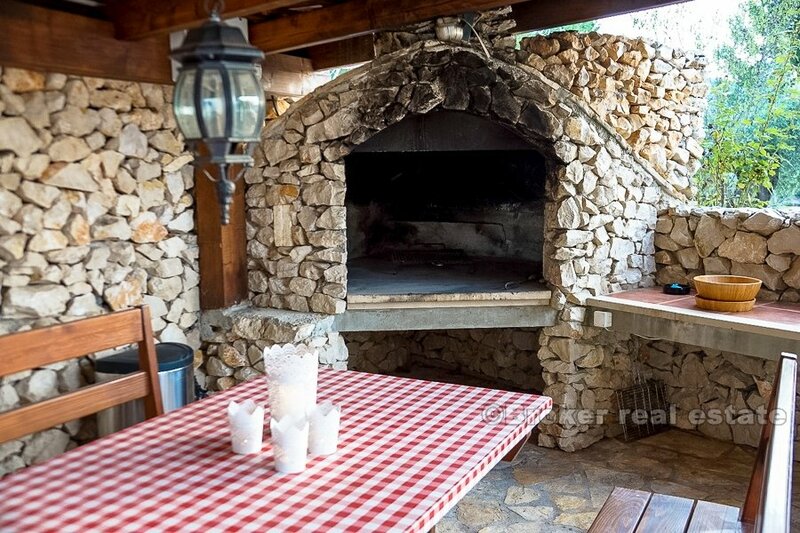 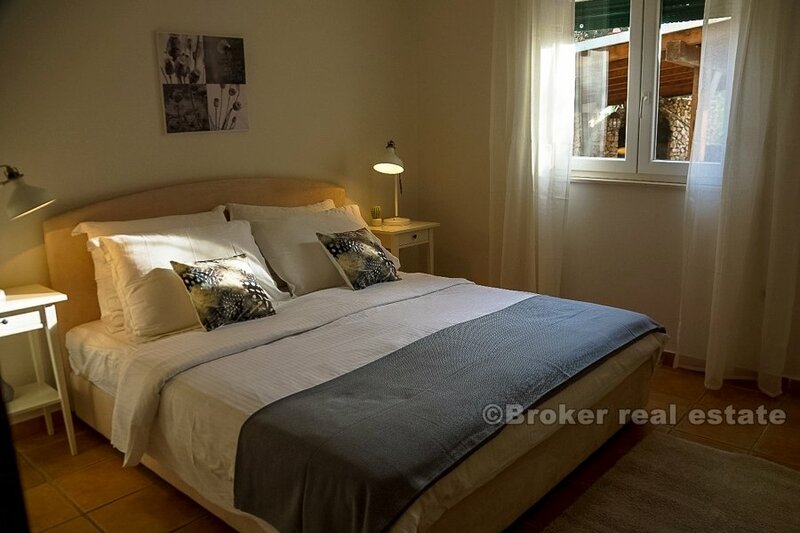 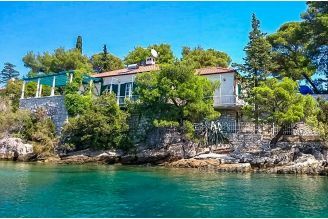 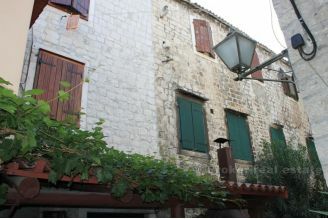 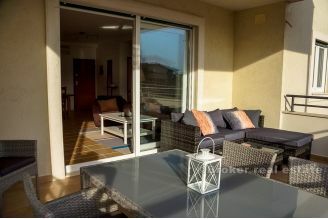 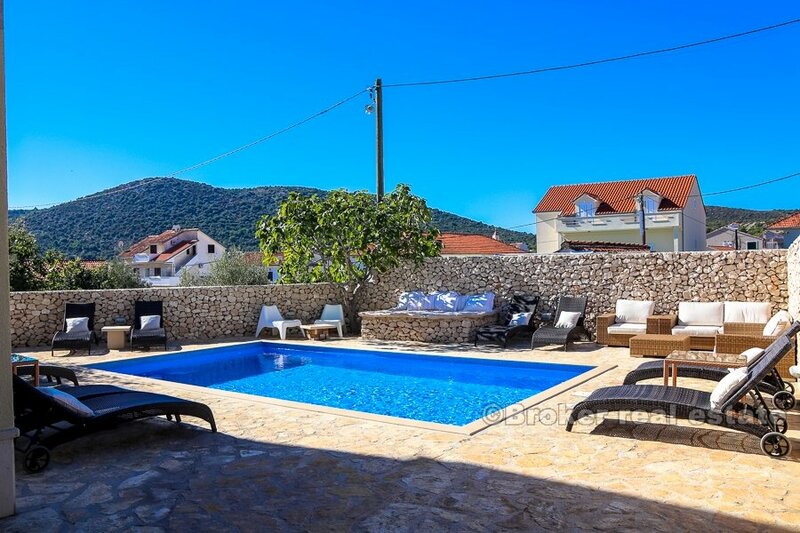 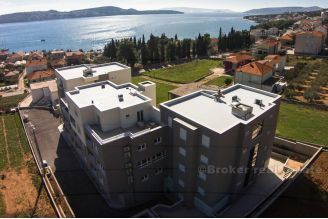 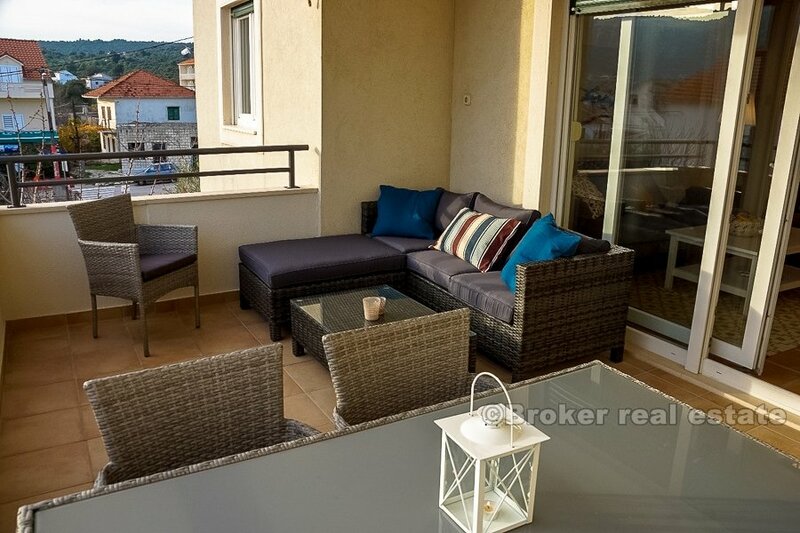 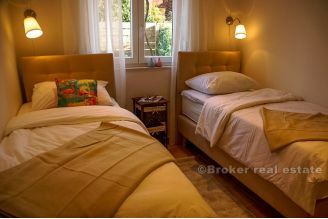 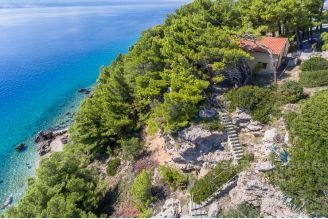 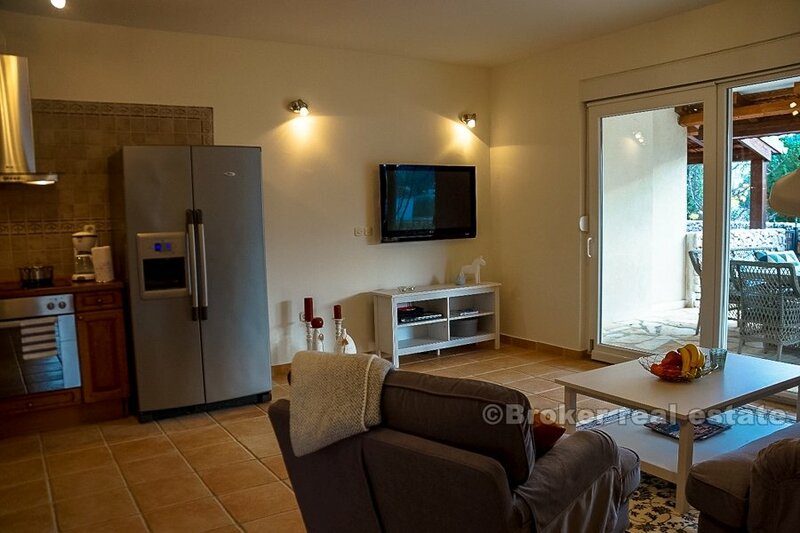 Four apartments are for sale, situated in a smaller apartment building, located near town of Trogir, in a small fishing village, and 200 meters away from the sea. 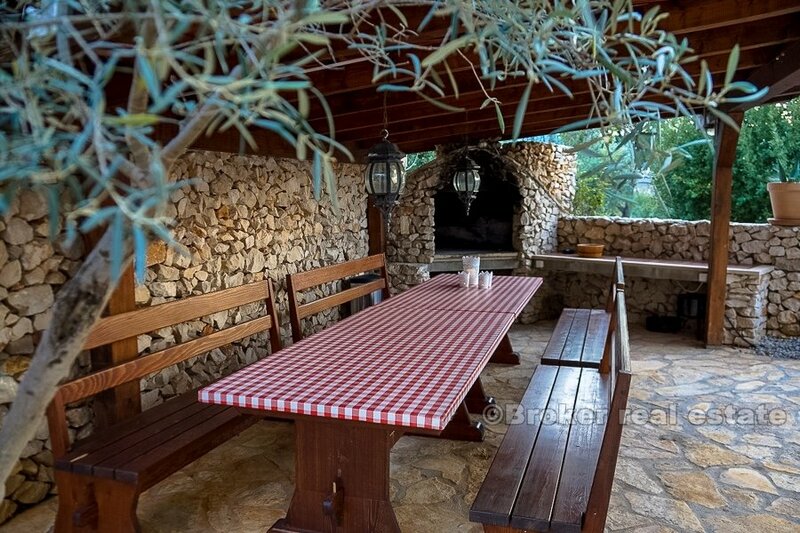 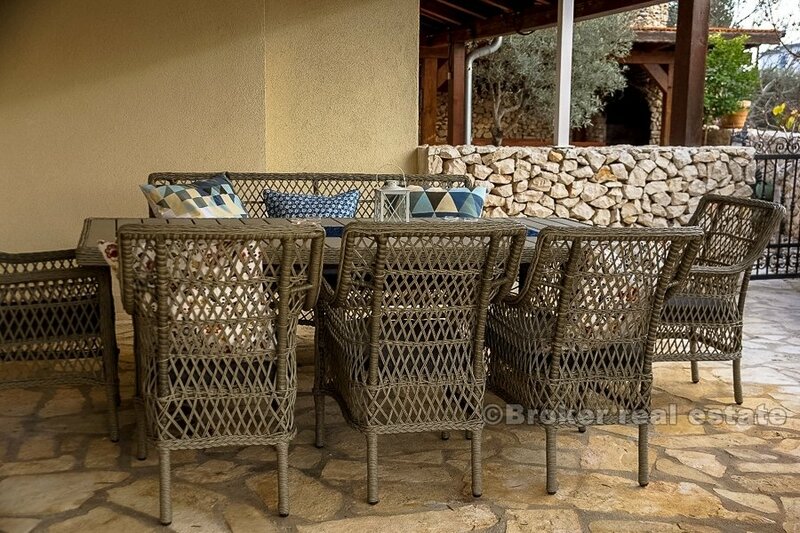 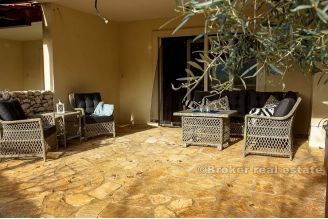 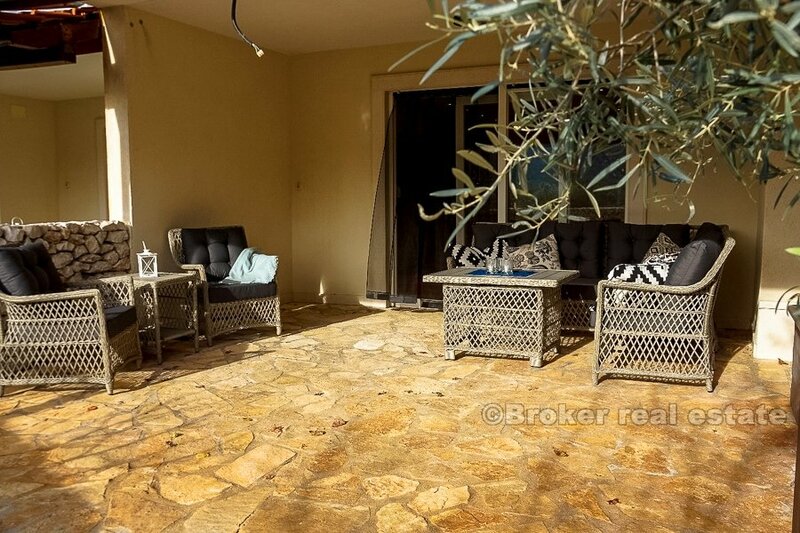 The property is surrounded by a high stone wall that provides privacy to real estate users, with its swimming pool and sunbathing area as well as several olive trees that allow shade in the summer days. 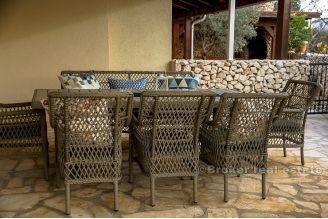 In front is a shared barbecue area. All apartments are sold fully furnished. Apartments can be used for personal needs, or the business of renting could be continued. 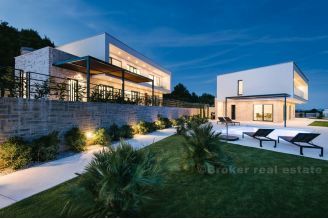 The distance to the international airport of Split is 20 minutes drive.